Connective tissue proper: reticular. Atlas of Plant and Animal Histology. 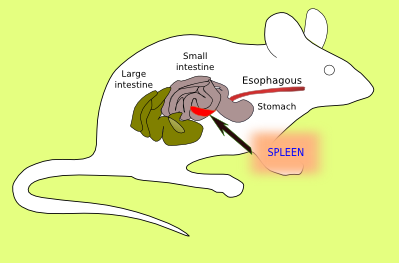 The image from the spleen. Put the cursor over the mouse to see where the image comes from. . Organ: Spleen, stroma, reticular connective. Technique: 8 µm thick paraffin sections, argentic impregnation. This tissue may be classified as loose connective regarding the density of fibers in its extracellular matrix, but it is characterized by a high content in type III collagen fibers, which are part of the reticular fibers (also known as reticulin fibers). Reticular fibers contain a high amount of carbohydrates, that is why they can be stained with argentic impregnation and PAS staining. Reticular cells, which are fibroblasts, together with reticular and other collagen fibers, are the mechanical support for lymphoid cells. 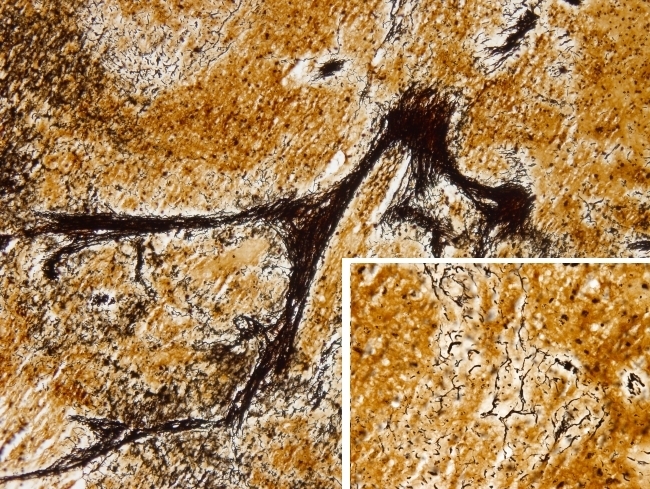 Reticular connective tissue forms the stroma of bone marrow, spleen, lymphatic ganglia and timus. It is also present in tonsils or amygdala, in the Peyer patches of the ileum, and it is less abundant in other parts of the body. Although reticular fibers are found in many parts of the body, the reticular connective tissue is described in the places mentioned before.